Listen to the folk rocker perform at Daytrotter on this day six years ago. Remember Jake Bugg? The young Brit burst onto the scene in 2012 with his debut self-titled album, which quickly went number one in the U.K. “Lightning Bolt,” the record’s supremely catchy folk-rock single, was a jolting hit across the globe. At just 18, the Nottingham native seemed poised for superstardom. 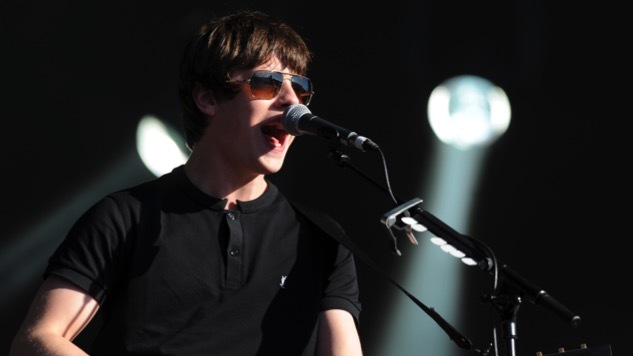 But where is Jake Bugg now? He’s still making music, having recently released his fourth studio album, Hearts That Strain, in late 2017. But nothing since has quite matched the electrifying quality of “Lightning Bolt.” Below, hear Jake Bugg perform the song at Daytrotter around the time of its release on this day in 2012.